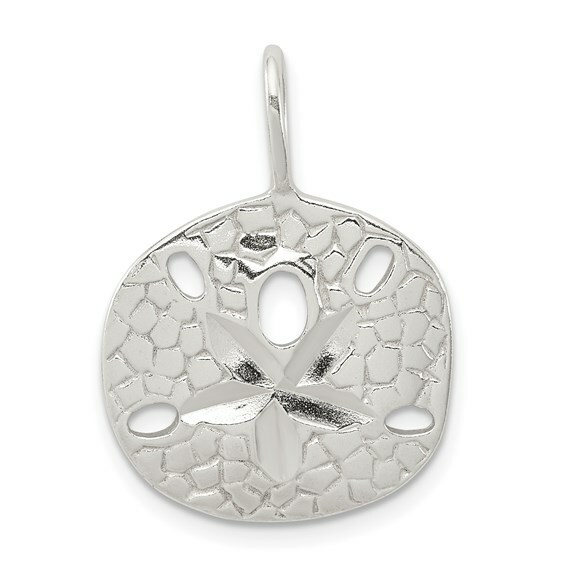 Sterling silver sand dollar charm has a polished finish and flat back. Dimensions: 3/4in inch tall by 13/16 inch wide. Weight: 2 grams. Jump ring fits up to 4mm wide chain. Import.